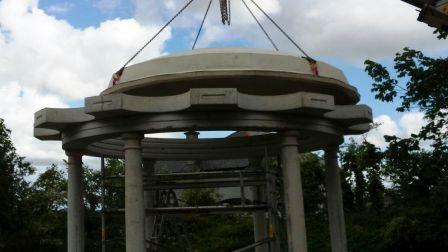 This precast concrete garden structure is a project we’ve worked on over time. 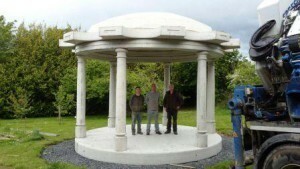 It is a domed folly, in the tradition of the folly’s of the great houses of Ireland and the UK. It is manufactured entirely using precast concrete base, pillars and dome. It takes just one day to erect and you can have this elegant folly as the centre piece to your garden. 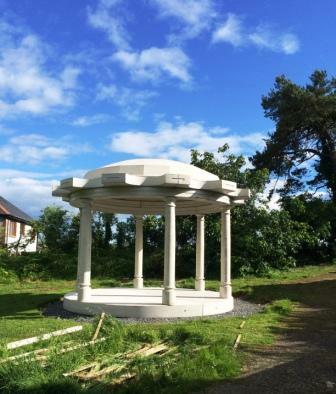 This folly makes a great centre point for barbeques and garden parties. It would also make elegant backdrop to your family photographs. Measuring in at 5 meters in diameter and 4 meters high, this is no small garden ornament, but if you’ve got the space this is a jewel in the crown of any garden.